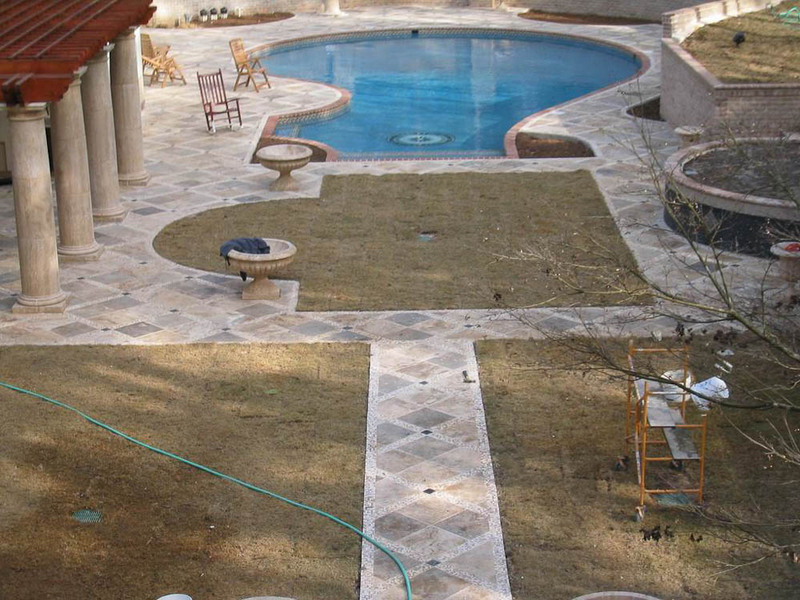 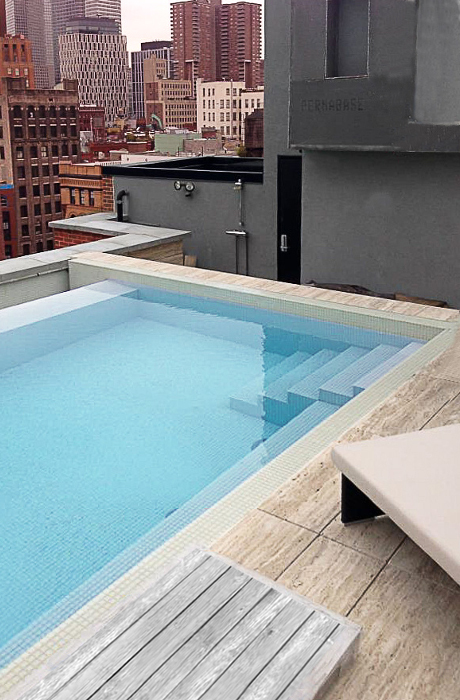 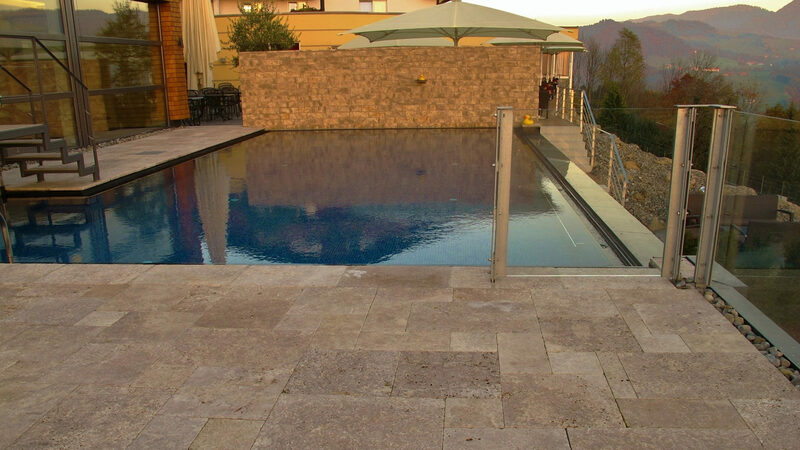 The right external flooring can turn your pool into a real visual masterpiece. 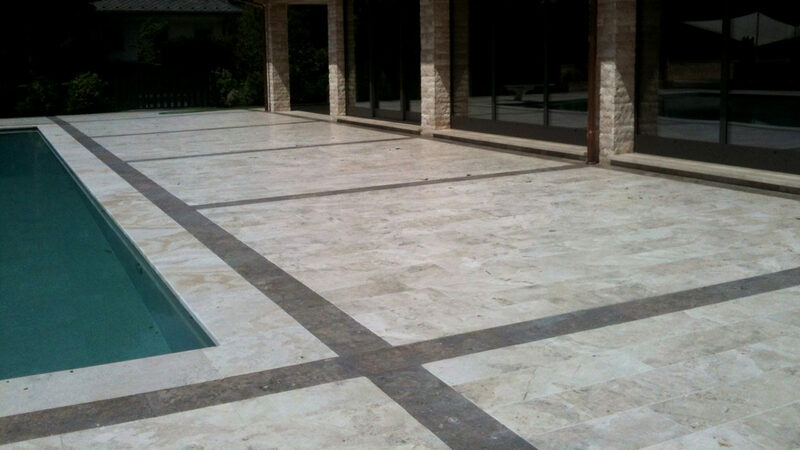 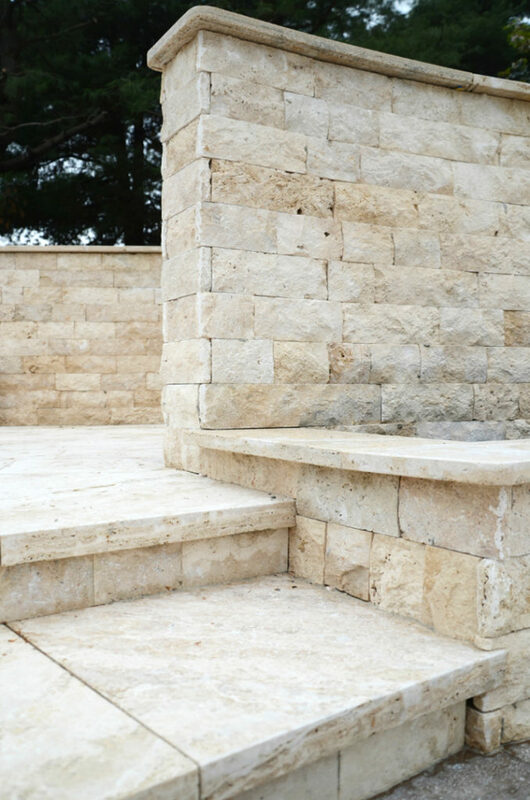 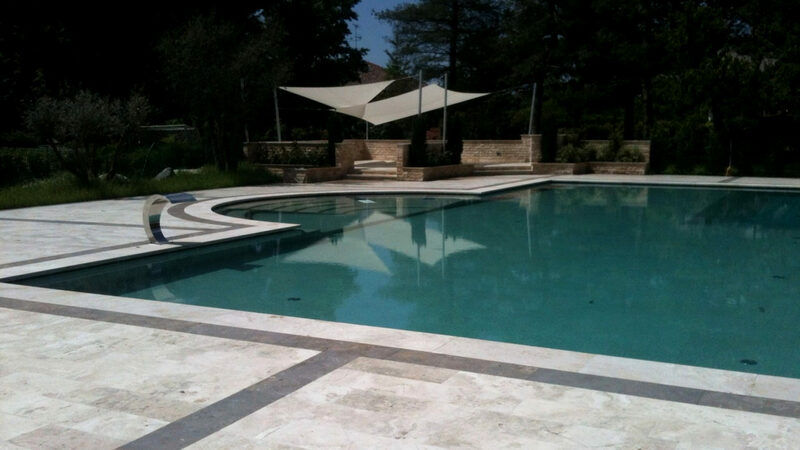 It all starts with the choice of quality finishings, that is, choosing one of our travertine selections. 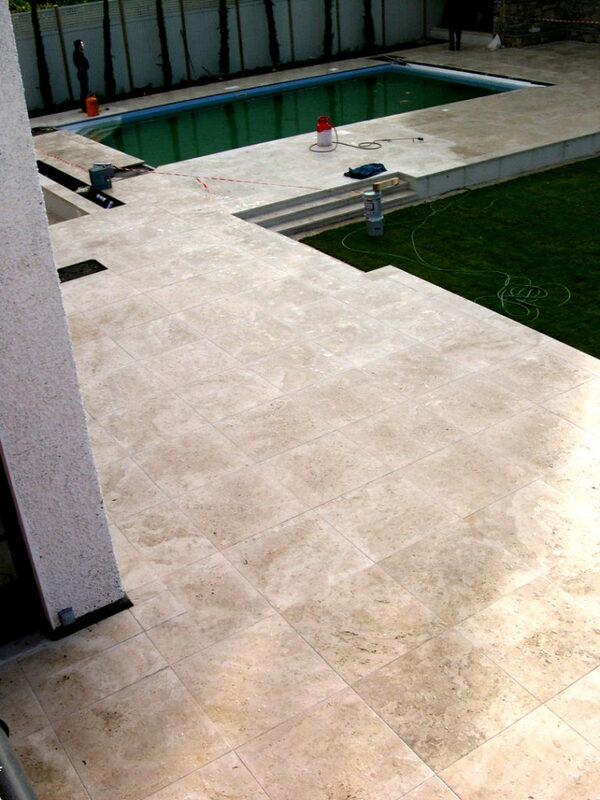 The stone’s value and natural effect are timeless, and it is available in a large variety of colors with different effects, clouds, veins and streaks in different shades. 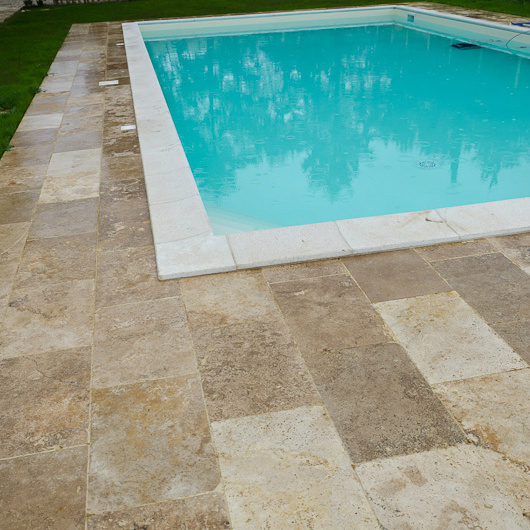 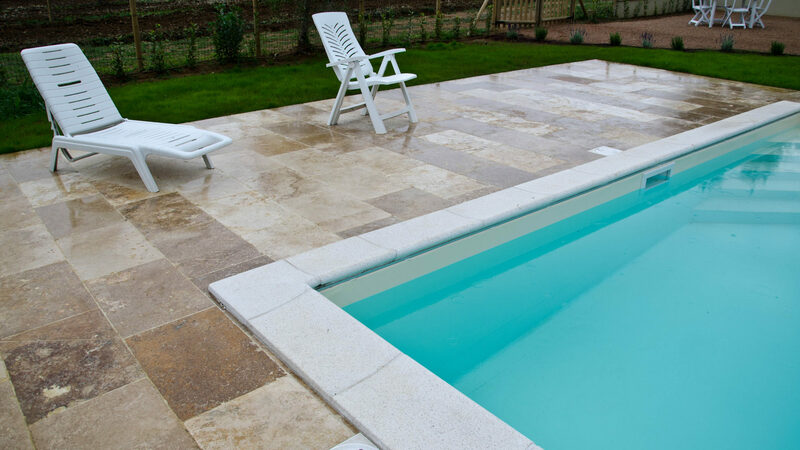 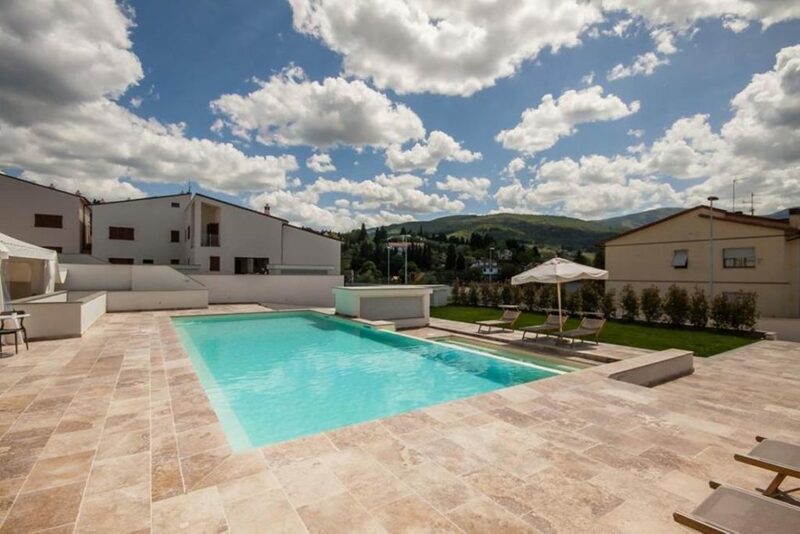 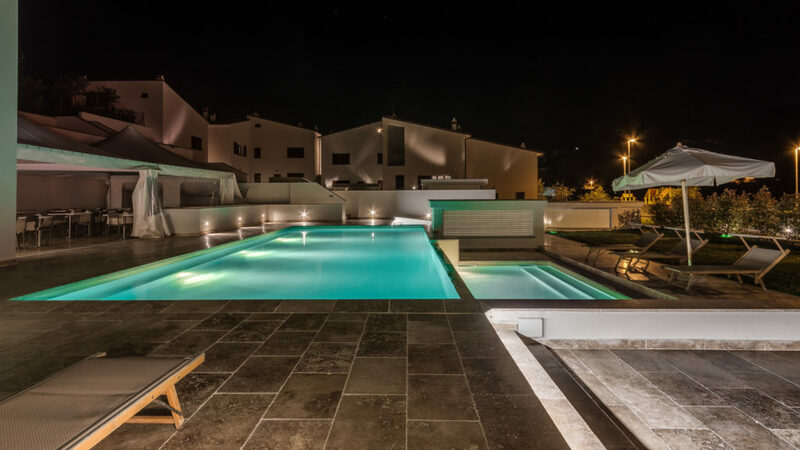 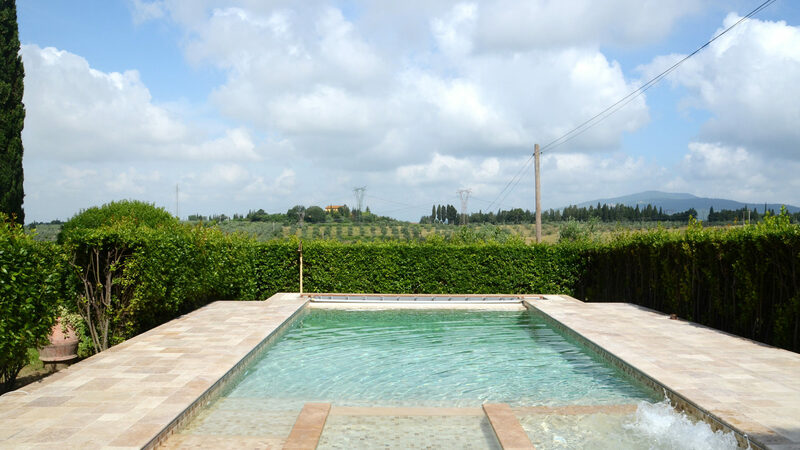 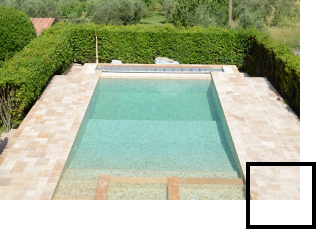 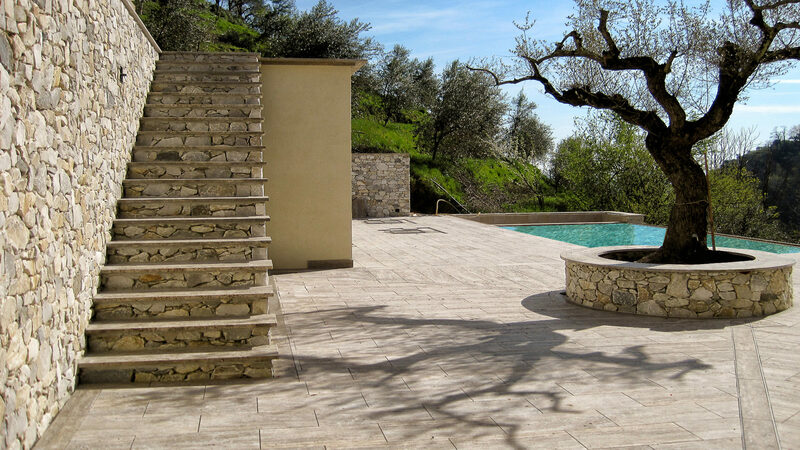 Travertine is resistant, able to easily tolerate extreme meteorological fluctuations and has a naturally non-slippery weave: all these peculiarities mean that it doesn’t change over time and make it perfect for an environment close to water. 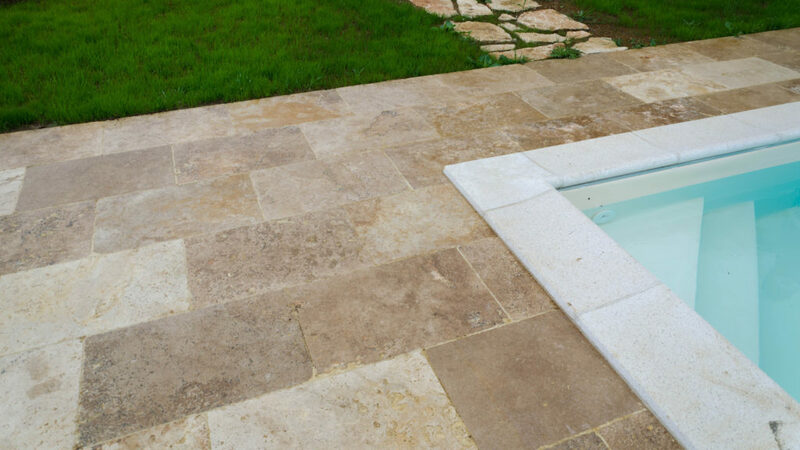 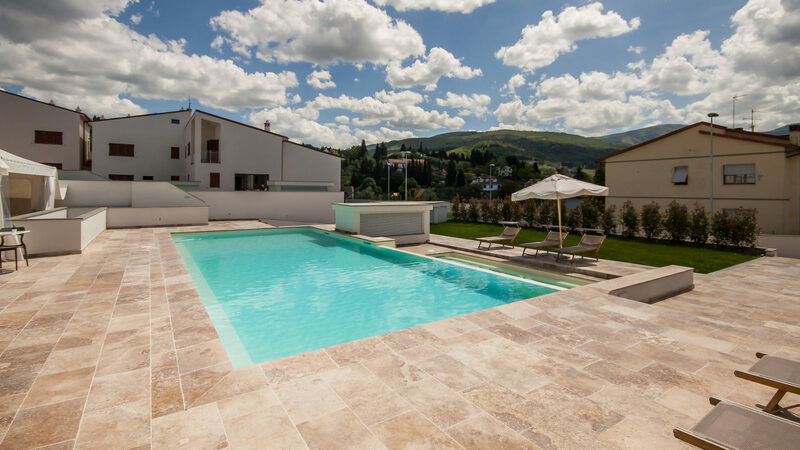 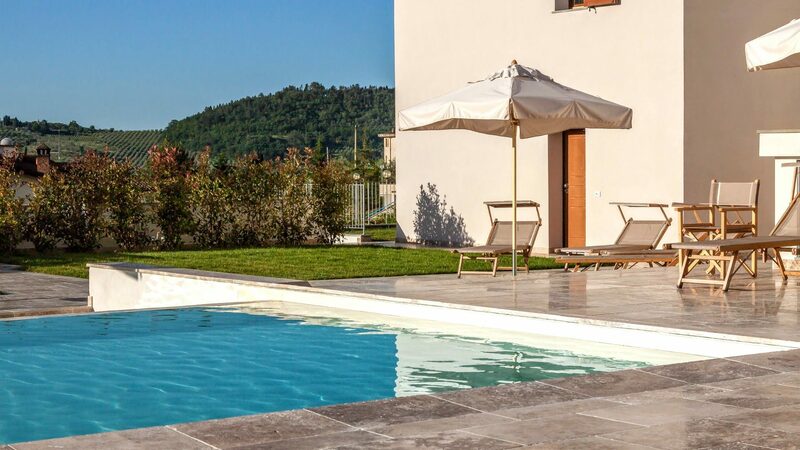 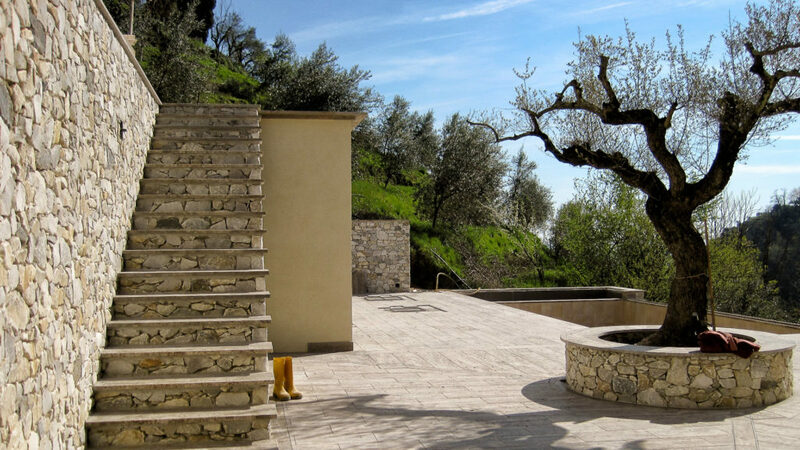 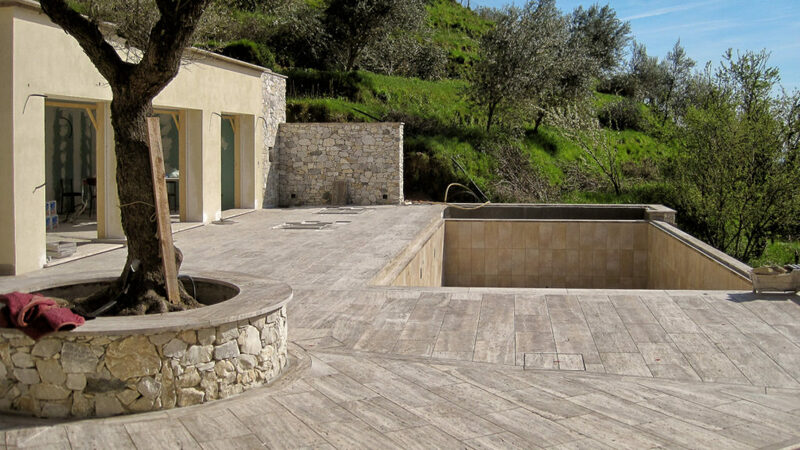 As a flooring option, travertine can bring an important charm and beauty to the external area of ​​your home: in particular, the flooring can be used in different formats, from large slabs to small-format tiles. 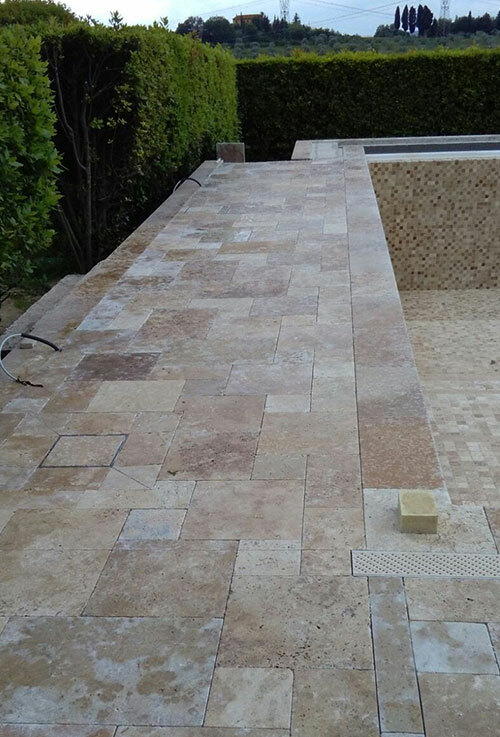 The final result will be a homogeneous environment where the unique nuances of the natural stone that you have chosen will be greatly enhanced.